Sophie seeks to mitigate the inconvenience, difficulties associated with registration process in virtual healthcare platforms. Add a dependent to your account. Connect you to the customer service representative. 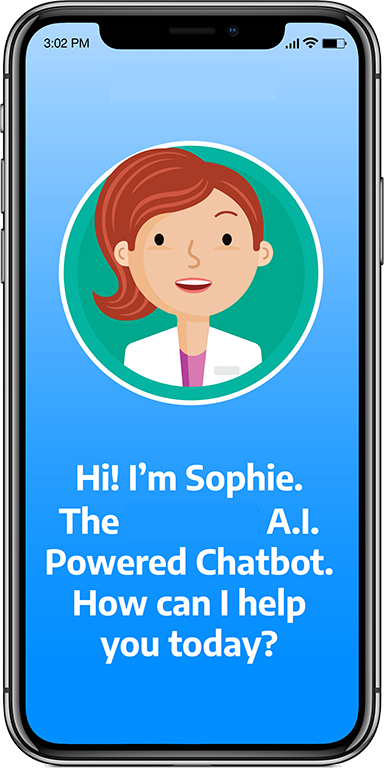 Sophie’s name is rooted in Greek ideology and symbolizes “wisdom.” The chatbot’s abilities to recognize registration-related commands and address these needs will continue to advance as utilization of it progresses. Phase 2 of Sophie will be able to diagnose your conditions and provide you with the best possible treatment guidance.